I often find myself amazed by just how polarizing baseball is. When the topic comes up in conversations between adults, most will offer a smile and simply say they don't follow. In my experience though, when secure in the assumption that no feeble minded baseball fans are nearby, a proportion of these same people will profess a profound boredom with the game, in all likelihood while wearing a Kobe Bryant shirt, or, in a seizure of irony, a Manchester United jersey. Then there's us. The people who write about baseball. In November. What makes us do the things we do? Earlier this evening I re-watched The Rookie, in which the actor Dennis Quaid portrays an aging high-school teacher by the name of Jim Morris, whose baseball career was ended during his youth by injuries before it could get off the ground. The based-on-a-true-story moving picture show documents Morris' struggle to fulfill his dream of becoming a professional baseball player, in the face of family responsibilities and self doubt. While the film is far from a cinematic masterpiece, I found myself laughing along with the characters and becoming excited, nearly giddy, when they succeeded. My emotions were entrained to the careful rhythm designed by the editors. At the climax of the film, when Morris exits the bullpen and runs onto the field for his first major league relief appearance for the Devil Rays during a blowout in Arlington, my eyes watered with happiness. Although improbable, for the moment, let's work under the assumption that I am not 10 years old. How did this film elicit such a strong emotional response from me? I can tell you with certainty that if Jim Morris had been taking his first lap around an MLS soccer pitch, I would have been reaching for the whiskey in order to forget the last 90 minutes of my life. There's just something about baseball. Our connection with the game is, for most of us, linked with strong childhood experiences. I played baseball growing up, and at the time, it was as much about the pressure and the tension as it was anything else. I liked being up at bat, being in the spotlight, and having the expectations of those around me push me to succeed. I relish memories of the feeling of coming home in the car, my legs rubbery, hands calloused, with every bump on the road reminding me of just how dangerously full my bladder was. Things aren't like that anymore. The meaning of the game has changed for me. It has evolved and grown into something much more powerful, but exactly what that is, I'm not sure. More than anything for me, it's the field. The players are secondary, and ultimately, unnecessary. It's the way the grass is cut around third base, the sound the dirt makes against the pitcher rubber as you scrape it across with your foot, and the divet dug into the back of the batters box. And it is also none of these things. There is, in my mind, an idea of baseball - an abstraction of what the game is, and what it means - but there is no real form that encompasses all of the feelings it brings up within me. It explains to me how incredible it is to be a part of something larger than your corporeal self, and at the same time, why sometimes you truly must go your own way. 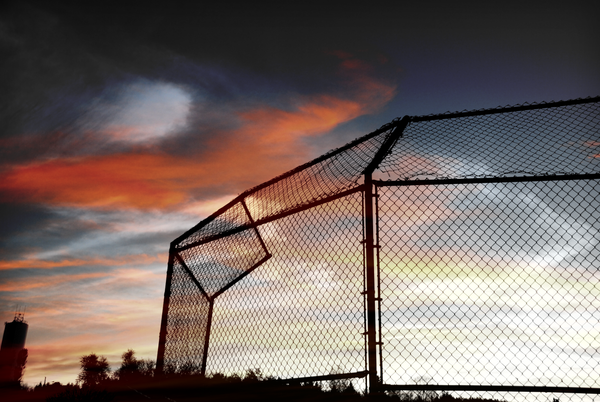 Baseball is not about the drama and the suspense. It's not the home runs, the strike outs, or the, God forbid, intentional walks. The final day of the 2011 regular season is not why I love baseball. Beneath the rules, patterns, heuristics, and probabilities that govern the game lies something intangible and spiritual. Masked by its complexity, at the game's core, is perhaps the simplest, most beautiful idea I have ever come upon. It is the power of many, of the few, and of the one. That's what baseball means to me.